Irrevocable life insurance trusts (“ILIT”) can be one part of future planning for individuals with special needs. Like other future planning methods, people planning to use an ILIT as part of their plan should learn about important provisions to include specific to people with special needs. ILITs are trusts that hold life insurance policies as the trust corpus. Usually the insured makes contributions to the trust that are used by the trustee to pay the premiums on the life insurance. The life insurance is taken out on the life of an individual, but when that person dies the insurance proceeds goes to the trust. As a result, the insurance proceeds do not become part of the person’s estate for estate tax purposes. 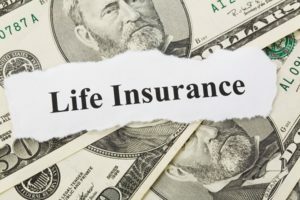 Since life insurance proceeds can be quite substantial, using an ILIT can greatly reduce estate tax exposure. You may be wondering what ILITs have to do with special needs future planning. Special needs trusts (SNTs) can be beneficiaries of the life insurance policies held by ILITs. Thus, when the person insured by the policy dies, the proceeds pass into the SNT for the benefit of a person with special needs. Further, the insured person himself may retain his eligibility for Medicaid if he requires long-term care in the future – the life insurance policy is not necessarily a disqualifying asset. When a family uses an ILIT as part of future planning for a child with special needs, there are several special provisions that must be added to ensure that the child with special needs’ eligibility for government benefits is protected. Commonly, trust drafters include so-called “Crummey” powers in the trust instrument. Crummey powers allow trust beneficiaries to withdraw trust contributions within a certain time period. Usually the person paying the insurance premiums takes advantage of the Crummey powers to classify premiums paid into the ILIT as gifts for tax purposes. Most beneficiaries do not actually use their Crummey powers, and herein lies the problem for ILITs acting as future sources of funding for people with special needs. If a beneficiary does not exercise his powers, the Social Security Administration treats the premium contribution as a gift or treats it as income in the month it is made and then as a resource (potential source of money) in the next month. The SSA disqualifies the beneficiary from receiving benefits for a period of time due to the gift or income/resource classification. In sum, including Crummey powers in an ILIT can cause a person with special needs to lose eligibility for government benefits. Therefore, it is very important that ILITs created for families of children with special needs are drafted very carefully.